For those who want a long-lasting whitening solution that really makes a huge difference, professional whitening isn’t the only way to go. Porcelain veneers are minimally-invasive, painless and affordable. In as little as two dental visits, you’ll look like you’ve had cosmetic procedures usually reserved for the rich and famous. Your smile will be designed specifically for your face. Looking natural and uniquely yours. Dr Mathew’s artistic approach will create your ideal smile. You will discuss all of the details with Dr. Mathew during your free cosmetic consultation. People will ask you what you’ve had done and you’ll simply smile brilliantly at how quickly and affordably Dr. Mathew has transformed your smile—and your life. Are you self conscious about your teeth? Do you frequently notice the beauty, straightness and whiteness of other people’s teeth? Do you hold yourself back in social situations and avoid smiling? The truth is that there is no reason today to live your life embarrassed by your smile. So many easy, painless and affordable cosmetic dentistry procedures exist to quickly and safely take care of common dental issues, and aren’t you worth it? Do what thousands of our patients have done. Dr. Paul Mathew has dental office in Newburyport and Salem, NH. Contact us for a free consultation, and find out how you can have a gorgeous, white, straight smile like those you so often admire on others. Who doesn’t want a straight bright white smile? At Artisan Dentistry, it can be yours. Simply contact our office to schedule your porcelain veneers consultation, and don’t forget to ask about our 5 Year Warranty. 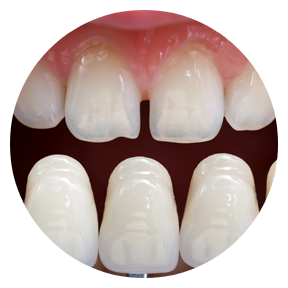 Porcelain veneers are very thin, shell-like covers crafted to perfectly fit your teeth, especially those in the front that show when we smile.